Fairfield, CA, June 29, 2015 – Walker Bay Boats, manufacturer of an award winning line of small recreational boats, signs Tender Care Boats in Fort Lauderdale, Florida as a new dealer for the East Coast. Sean Smith, Director of Sales for Walker Bay said, “Tender Care Boats is a reputable dealer with years of experience and a solid customer service track record.” Tender Care will carry the full line of Walker Bay RIB’s and Airis, which includes inflatable kayaks, stand up paddleboards and inflatable docks. Based in Fort Lauderdale, Skip Reisert, owner and founder of Tender Care Boats has served the marine industry for over 40 years. They have the largest selection of new and pre-owned yacht tenders on the East Coast as well as a matchmaker tool for helping boat owners find the perfect tender to fit their vessel. Tender Care Boats is widely known as the yacht tender experts with a highly trained service team that not only cares for your tender service but also details it with precision and beauty. Tender Care carries their own line of products to keep your RIB in perfect condition. Owner Skip Reisert, said, “In the short time that we have had the Walker Bay product's we have broken sales records for tender sales and are looking forward to a long, fruitful relationship with the Walker Bay company and its products." For over 15 years, Walker Bay® has redefined the benchmark for small boats by combining the perfect balance of performance, aesthetics and engineering. 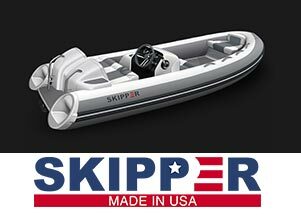 Manufacturing an award wining line of exceptionally crafted motorboats, sailboats, rowboats, RIBs, inflatable air deck rollups, and inflatable kayaks, Walker Bay® continues to push the boundaries of innovation with boats that are durable, versatile, practical and easy to use. With over 100,000 boats in use, Walker Bay® is available in over 50 countries around the world and can be found on the web at www.walkerbay.com.